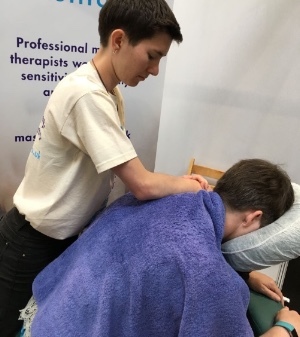 MTI will be at the Holistic Health Show at the Birmingham NEC on 19/20 May. We'd love you to be part of our team. We are looking for members to staff the stall and give taster treatments both days. There is one supervisor position available on Monday 20 May, £90 for the day (9.45am-5pm with breaks when needed) plus £10 travel expenses. This involves overseeing the stall, taking bookings, talking to people about the benefits of MTI, taking the stand down at the end of the day and making sure the equipment is delivered to the Balens stall. Must have events experience. We also need 4 staff members to give taster treatments on the stall and talk about the benefits of MTI training. Chair massage experience an advantage. £40 per 4 hour shift with a maximum of 2 hours giving tasters, and a minimum 30 minute break, plus £10 travel. Could pick up some clients in the Birmingham/Midlands area and you get to take in the show (you'll have access for the full day). These roles are intended for students and graduates to gain events experience. Email Jenny saying which role you are interested in and why you are suitable for the job by Friday 5 April. Copyright © 2017 Massage Training Institute All rights reserved.